Once again, Fed Cauble will be donning his red and white suit, his hat and boots, and will be welcoming kids and their parents to The Star in Frisco. Cauble, a Principal Architect here at tma-cha architects, was recently featured on the 5 Points Blue podcast which talks about all aspects of the Dallas Cowboys – from the X’s and O’s to the best tailgate recipes. Santa will be greeting kids until December 24th. 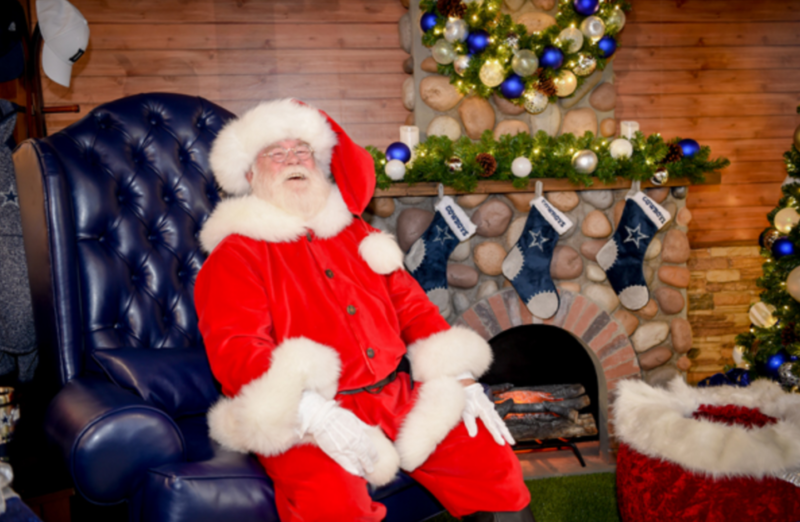 This is such a busy time for Santa, the Star in Frisco recommends you go online to make your reservation. While Fred will still be designing and drafting, he’ll also be delighting kids around North Texas with their requests for Christmas. If you could use a little Christmas spirit, be sure and stop by to say hello to Fred – we mean, Santa.